to the State Hospital at Winnebago, where he died. Subsequently the stone monument was erected with funds raised by popular subscription in the community. and the north Michigan ports. 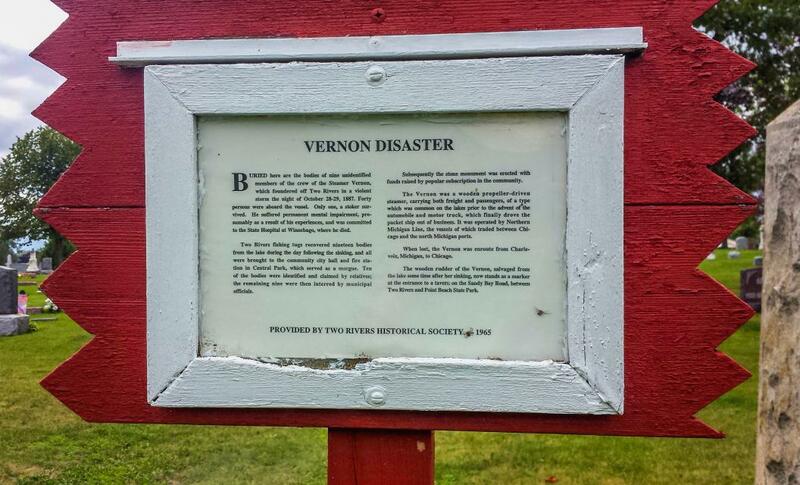 When lost, the Vernon was enroute from Charlevoiz, Michigan, to Chicago. Two Rivers and Point Beach State Park. This marker can also be identified by its HM code. You can use the hashtag #HM1KGV in tweets, and any other place where you might refer to this marker, including when searching on this site.